Trends like most things are temporary similar to the majority of things that the world has to offer and change is the inevitable. But in the National Basketball Association, change is something most are not used to, but the 2015 Free Agency period has brought a new aspect to the league. Subsequently, after the Warriors claimed the 2015 NBA title, it killed the theme of each team putting together a group of superstars whether it be two, three maybe even four, to propel their franchises to next level. But it exemplified that you will need to create a core of good players and not just a couple of great ones and a lot below average or mediocre ones to surround them with. The precedent that we have seen of past champions, a la the San Antonio Spurs, keep a good team together you will sustain a great record. And for the majority of the free agent class of 2015, has remained loyal to their respective teams and continue to figure with the current roster and try to fill in spots that were vacant in the prior. We’ve seen the likes of Jimmy Butler, Marc Gasol, Kevin Love, Paul Millsap and Kawhi Leonard all remain with prior teams and not just chase the money and max contract but are chasing the highest achievement in the NBA, the Larry O’Brien Trophy. The free agency period has shown that players who steadily work on this game and are making something out of the career despite their past struggles. Draymond Green, Damarre Carroll, and Kris Middleton, all received great contracts due to their improvements and what their upside could be based on their performance and work ethic. Along with the underdogs earning their pay the underdog teams are now gaining the big players and taking them away from major markets like LA or NYC, where players at point had fantasies of playing in the bright lights of the big cities. The biggest example of that is where C/PF Greg Monroe decided to take his talents to Milwaukee, to join a young budding roster that could make a great splash with his addition, and deciding to decline to join the Lakers or the Knicks. 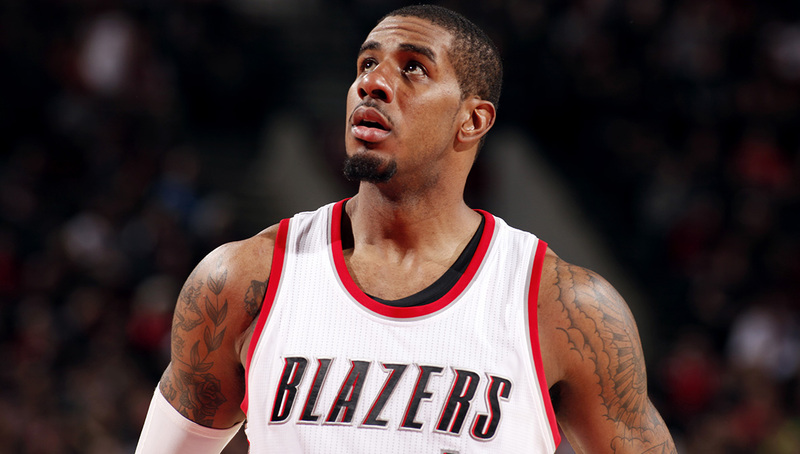 We could also see Lamarcus Aldrige do the same forego playing a huge market and play in the small one like Phoenix or San Antonio. We have seen teams like Portland, a small market team who would normally fret of losing a star like Aldridge, now figuring out to how to maneuver without him and have gathered many young prospects to join along their young superstar Damian Lillard in order to restore hope on their future and not dwell on their past. I like the direction the league is pointing towards. Once known for being a me, me, me league in now making the transformation into becoming a we, we, we league instead of having a superstar, having a great team. I believe this makes for more entertaining basketball and makes for a more competitive league, overall. I am looking forward to the new changes and trends are always fun and make each time period fun, let’s just enjoy this one. The Golden State Warriors have completed the storybook nostalgic season with their 105 – 97 win over the Cleveland Cavaliers on Tuesday evening. The Warriors completed the route to exceeding the doubter’s expectations that were set prior the season’s tip-off. Defying the odds, would have to be the mantra for the Dubs and a true testament to the 2015 season. An undersized, hardly scouted point guard, who transformed into the league’s shining star, and not to mention the Most Valuable Player, ended up leading a team into the promise land. But it wasn’t just Stephen Curry but it was a group of unpredictable players that combined to make the league’s best team. It was Curry’s running mate, Klay Thompson, who was used to replace to the franchise’s once prized possession in Monta Ellis. The untapped potential in Harrison Barnes that sometimes was a head scratcher and the DPOY candidate who speculators couldn’t imagine as a starting forward in NBA. But not only the young talent that starred but it was a redemption story for many of the veteran’s on Golden State’s team. Starting with the former #1 overall pick, who found himself settling into a role player/defensive anchor. Then witnessing the bench star a former All-Stars, Olympic Gold Medalist, and 6th Man of the Year in Barbosa, Lee and Iguodala, who all had to scratch for minutes at different parts of the season. And then there is a guy who seen his once promising career, who witnessed his career come crashing down in a matter of seconds, finding himself a role player amongst a championship roster. You put all of those intangibles into a rookie head coach, who was a part of the Bulls dynasty and even won a championship under the tutelage of Spurs as well. Steve Kerr, who never had coaching experience, but was under management in tenure with the Phoenix Suns, that helped bring the NBA a form of basketball that would revolutionize the game forever. Although the Suns were a great site to see and great team for many years of the past decade, their style of play was always stigmatized due to the fact, they didn’t have enough of “this” or enough of “that”. But in his first year, Kerr was able to use the style of his play that was used in desert and revive it in the Bay Area. Throughout the season, the naysayers would criticize the league’s best team often proclaiming “they couldn’t win a championship playing small ball”, but Kerr and the Warriors were on a rampage to start to start the season and continue prove all those who questioned wrong as they continued tally up win after win after win. To quote the great Kevin Garnett “ANYTHING IS POSSIBLE” and with the right amount of talent and chemistry, the best teams always find a way to complete the season with the Larry O’Brien trophy. 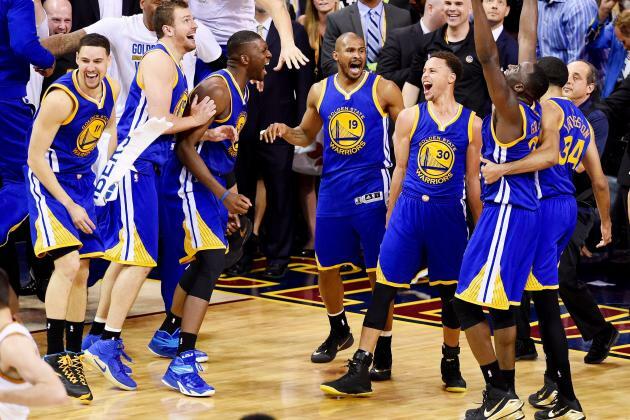 The Warriors proved that one player cannot win a championship its self, and that it takes a great supporting cast to make it happen. On the nights where Curry was unable to explode, there were games where others like Green, Barnes and Iguodala were able to make their impact and that’s what great teams do. A huge amount of respect is due to “the best basketball player on the planet”, LeBron James, on what he was able to accomplish on the Finals in his homecoming to Cleveland. Despite the injuries and inefficiency of his teammates, James was able to shoulder the load and carry Cleveland to compete for every contest. 35, 8 and 13 are astronomical numbers for any player gathering the minutes James did and just makes his trip to Miami look even more valid. Although, Curry was on the prowl of becoming the league next shining star, The King still remains supreme as the off season is set to begin and he has the option of becoming a free agent and will have the league at his heels once again. 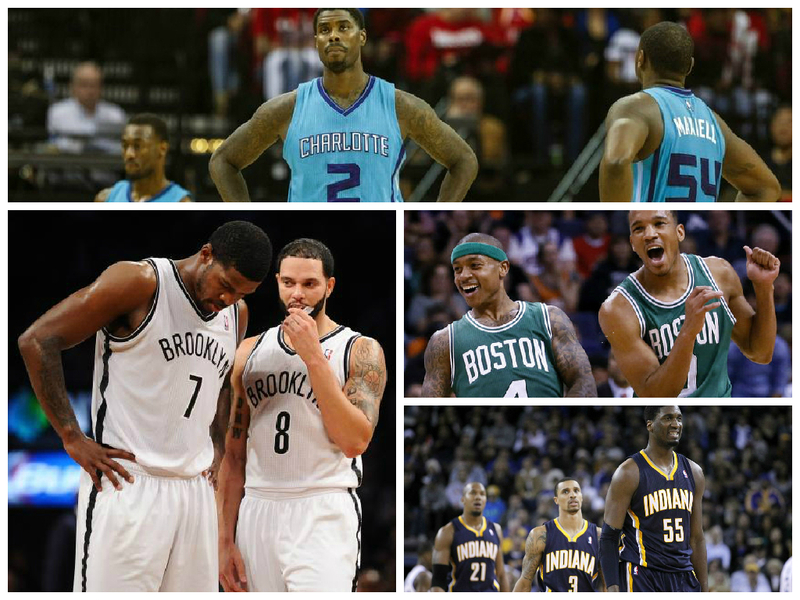 The 2014-2015 NBA Season is coming to abrupt ending, and 16 teams are gearing up for the postseason but there are other teams looking to expand on their progression this off-season. Like we have seen in teams like the Thunder, Wizards and Raptors, these are teams are on cusp of becoming the next franchises to make noise in the association. Let’s take a look at the budding talent arising for the upcoming season. Milwaukee Bucks: The Bucks have already made the biggest step into the future this season, hence their social media tag #OwnTheFuture and at the 6th seed in the Eastern Conference the skies are the limit. The wisdom of Jason Kidd was best suited for this young roster who accepts the knowledge of Kidd unlike the mature Nets did last season. With glue guys like Zaza Pachulia, Jared Dudley and Khris Middleton, Milwaukee has the right mix of players to go alongside their young talent of Michael Carter Williams, Giannis Antetokounmpo. Not to mention how good they can become when their top draft pick, Jabari Parker returns. With the great cast of characters, the Bucks will continue to remain amongst the best as they long as they keep the same team together. Orlando Magic: The Magic have stayed at the bottom of the NBA’s totem pole since the departure of Dwight Howard, but after their years remaining at the bottom it appears that success will be in the near future for the Magic. It will all start after the Magic find the appropriate leader to propel them to the next level from the bench. On the floor, it is looking very promising with steady improvements of Victor Oladipo and Nikola Vucevic, but the ceiling for Elfrid Payton and Aaron Gordon is what makes its scary for the league. Orlando will be in the lottery once again and could put together a great team filled with young talent that can fight its way to the Eastern Conference playoffs. Minnesota Timberwolves: After trading away their former All-Star Kevin Love, the T-Wolves found their answer with the acquisition of Andrew Wiggins. Wiggins has shown that he is in fact the next great shooting guard the league has to look out for. 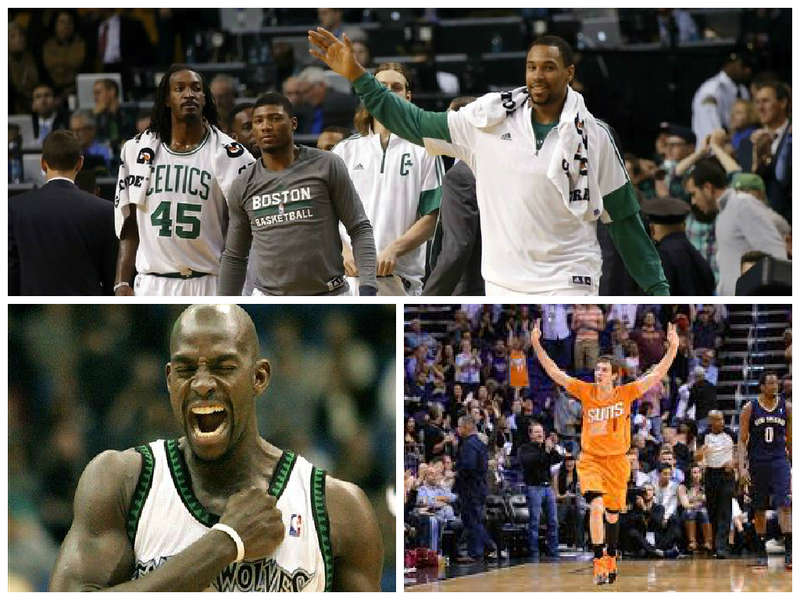 Minnesota brought back their former leader in Kevin Garnett to be a mentor for the young talents like Ricky Rubio, Adrien Payne, Gorgui Dieng and Shabazz Muhammad who have all shown the great improvements this season will all be needed for the Wolves to make that next step. Pending their upcoming lottery draft pick, Minnesota will have a good amount of talent to attempt to steal one of the bottom seeds in the West. Utah Jazz: The Jazz have been able to assemble talent through the draft because of their inability to gather talent through Free Agency. The Jazz have found a gem in Rudy Gobert, the center who gives Utah a prominent rim protector an makes life easier defensively. But their major issue is offensively where they lack with players like Trey Burke and Gordon Hayward, great players but do not possess consistency to give that offense output needed on a nightly basis. If those two along with whoever they acquire in the offseason can boost their offense, the Jazz will be back in the mix for the first time in years. Is it safe to say Lebron James for MVP? 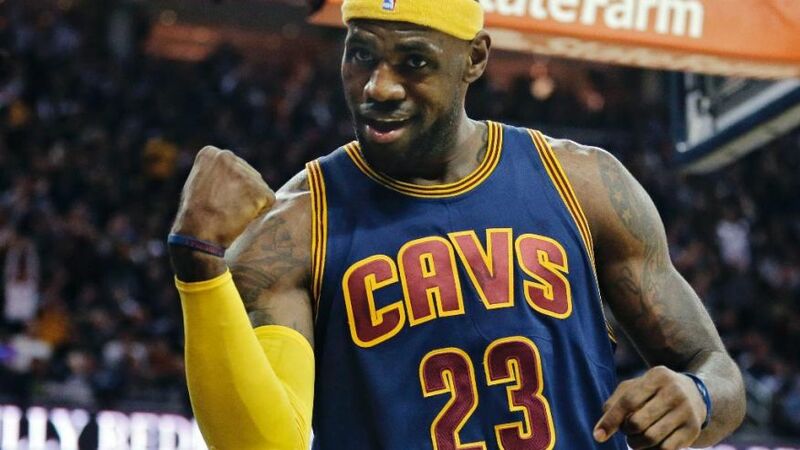 Call me a prisoner of the moment but the Cavaliers Thursday night win against the league’s best Golden State Warriors was beyond impressive; mostly because of the King. Lebron scored 42 points and 5 assists on 15 of 25 shots, not to mention 11 rebounds. He has made his stake in this MVP race very clear. While some may have written James off as just a runner up in the race; Lebron seemed to have been on cruise control from the start of the season to the All Star break. Has the King returned to reclaim his crown? Despite Thursday’s loss to Cleveland, Stephen Curry has been playing pretty much lights out since the beginning of the season. Leading his team to the leagues best record 44-11 with his unguardable jumper, crafty moves and ball handling skills, Stephen Curry has been nothing short of sensational. For these reasons he is still the front runner in the MVP race; “Chef Curry” is averaging 23 points, 4 assist and 6 rebounds. Let’s not forget about the bearded one. James Harden. Averaging 27 points, 5 rebounds and 6 assists; he has gone from 6th man of the year to one of the NBA’s premiere players. Sitting comfortably at third place in the Western conference; James Harden is having a MVP caliber season. In the same breath as you say James Harden you have to say the name of his former teammate Russell Westbrook. In the month of February, Russell Westbrook is averaging nearly a triple double. Westbrook’s season statistics are mirroring the likes of Oscar Robertson, Lebron James and Michael Jordan. Russ is averaging 26 points, 8 rebounds and 6 assists. Last but certainly not least, Anthony Davis may be the most underrated MVP candidate ever. Although most Pelican games are not nationally televised, Davis has been quietly averaging 23 points and 10 rebounds and has the league best player efficiency rating of 31.2. This year’s MVP race is clearly a tossup. A valid case can be made for each player. Past the halfway mark of the NBA season and the argument continues who will take home the league’s MVP. The topic of the discussion has been on Stephen Curry and James Harden due their consistency to perform on a high level. But as of recent, Russell Westbrook has put together some performances to add himself to MVP race as well. 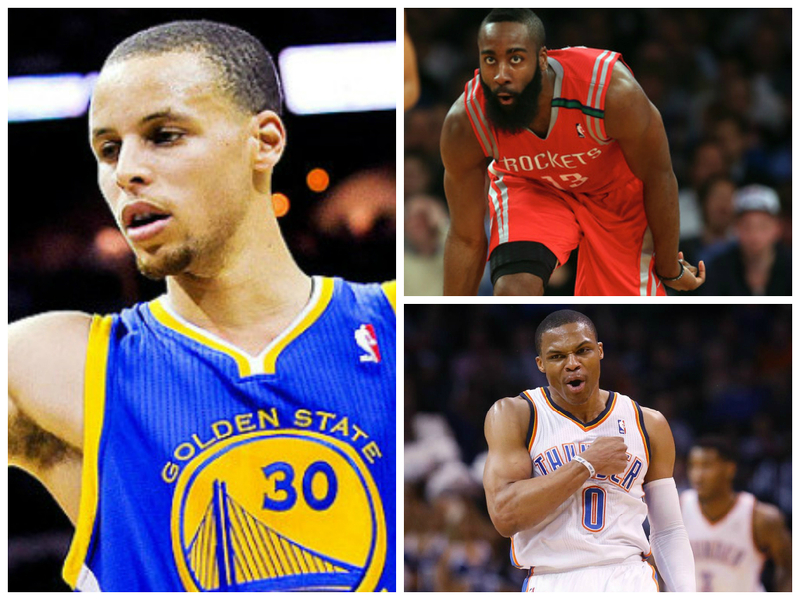 With all three stars going for the prize, the question remains who will be the 2014-2015 NBA MVP? There is no doubt in my mind that Stephen Curry will walk away with the trophy this summer, as the award is only his to lose. Leading Golden State to the league’s best record at 44-10, while averaging career highs in each category makes his resume look better than the other candidates. However if I were to place my vote, I would give my vote to James Harden. Harden who leads the NBA in scoring with 27.3 ppg, is a force to reckon with and has carried the Rockets all season as they remain the 3rd seed in the competitive Western Conference. The self-proclaimed best all-around player provided for a less talented team than both the Thunder and Warriors. Curry has the advantage of having arguably the NBA’s deadliest shooter in Klay Thompson, Most Improved Player candidate Draymond Green, Andre Iguodola, Harrison Barnes, Andrew Bogut and plethora of talent on that Golden State bench. As for Westbrook, he would be placed in the same category as LeBron James, where your play remains superior but the amount of games missed due to injury removes your name out of the discussion. While having the reigning MVP, Kevin Durant as your running mate, along with an assortment of talent acquired through trades, OKC has a better roster than the Rockets. The Rockets have no other play that can consistently score 20 points night in and night out, while still managing to average nearly six boards and six assists. In my opinion, that is what makes a player the Most Valuable Player of the NBA, someone who their team cannot play without and is the reason why your team remains successful. The 2015 NBA Trade Deadline was an eventful day as many teams made the necessary changes for a late push, some positioned themselves for the NBA Draft, while others did not panic and not trade at all. Let’s discuss the Winners and Losers of the 2015 Trade Deadline. Oklahoma City Thunder: The Thunder trade disgruntled guard Reggie Jackson and replaced him with Kevin Durant’s University of Texas teammate D.J. Augustin. Along with Augustin, the Thunder were able to address two of their biggest fears outside shooting and post scoring by adding Enes Kanter, Kyle Singler, and Steve Novak. OKC has put together a second unit that can help them produce points when Westbrook and Durant are not in the game and look to make that late playoff push with the roster additions. Milwaukee Bucks: The Bucks have overachieved this season with their team play under the leadership of Coach of the Year candidate Jason Kidd. While holding on to a 6th in the Eastern Conference, the Bucks made some changes to help their roster, replacing center Larry Sanders with Miles Plumlee, who brings a needed rim protector since Sanders departure. Also trading their rising star in Brandon Knight for two Jason Kidd-esque point guards in Tyler Ennis and Michael Carter Williams, the Bucks look to shock the world if they can uphold their success. Philadelphia 76ers: Despite trading for Javal McGee, a known headache to say the least, acquiring picks has been the best thing for the 76ers to secure the future. The 76ers add 2015 first-round pick (lottery protected) from Thunder and a 2015 first-round pick from Lakers to add to their roster of picks they already own, will be interested to see what happens in the draft. Denver Nuggets: With an apparent rebuild to come in the near future, the Nuggets did not make any necessary moves to help their future. They were able to dump the hefty contract of McGee but gave away a 1st round to do so. 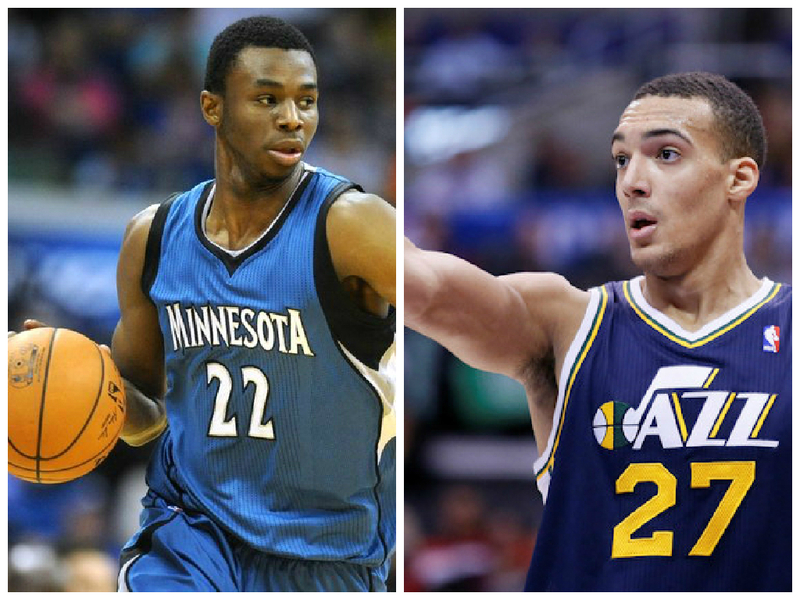 With many expiring contracts, the Nuggets could watch their roster fall apart this off season. Boston Celtics: Although they added Isiah Thomas, they add another guard to their overstocked position. With so many draft picks it gives the Celtics more to discuss with all the draft picks and expiring contracts they already possess. Boston has yet to add a player or players with draft picks and are stuck trying to find pieces through a bunch of draft picks and their makeshift roster. Brooklyn Nets: The Nets traded away a great mentor in Kevin Garnett and added some length and defense with Thaddeus Young but failed to help shape their future. The Nets look to stick with roster despite the play of their aging and fragile stars, holding on to the large contracts of Joe Johnson, Deron Williams and Brook Lopez. Kudos to the Pistons and T-Wolves, bringing back pivotal pieces of their franchise, to help tutor and lead their respective teams with adding Kevin Garnett and Tayshaun Prince.